I love whipped cream. There, I said it. Its one of those guilty keto pleasures I like to partake in. The stuff is just so good on coffee or over some chocolate mousse. Its hard because its not exactly bad for you, but its not great either. It has some carbs and the stuff adds up fast. Do you even know how small the 5 mL serving size is? So, since I’m obsessed, I’ve been researching how to make my own. It turns out, its pretty damn simple! 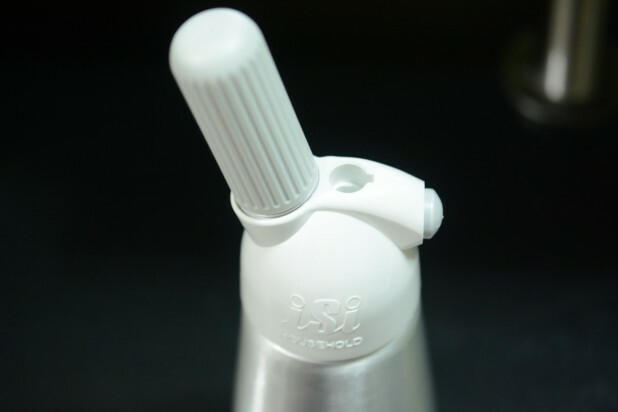 All you need is a ISI Mini Easy Whip, an N2O cartridge, and some cream! 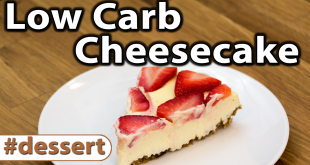 The advantage for keto is you can completely control what you put into the whipped cream. 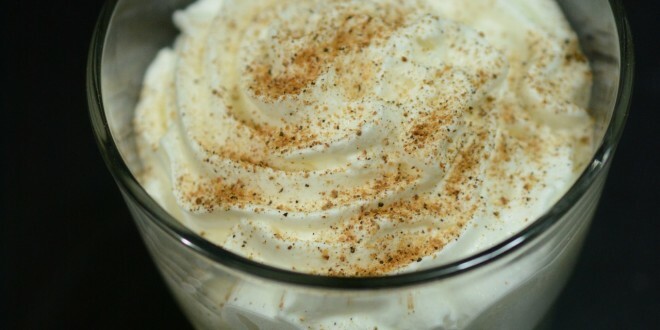 And as I will show you today, you can do some pretty cool stuff like infuse the cream with some Vodka! By the way, alcoholic whipped cream is all the rage right now with young whipper snappers and sells for an insane $10-15 per can. This recipe is WAY cheaper. 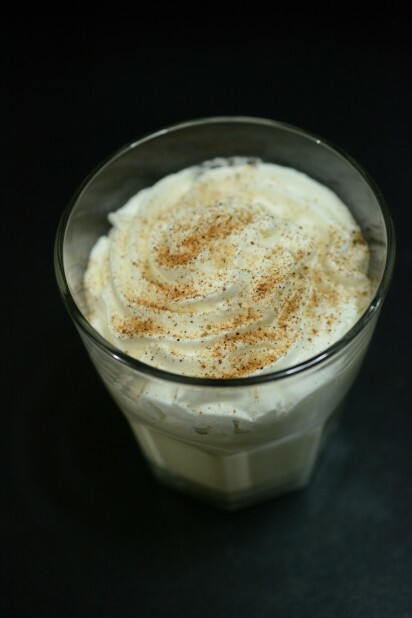 Here’s some Vanilla Vodka Whipped Cream on top of some keto eggnog sprinkled with nutmeg! This recipe is pretty simple. The model charger I have is 1/2 pint or 250 mL. So whatever you want to whip, you make sure it adds up to 250 mL. I’m using my angled measuring cup which has mL’s on it. Start by measuring out 200 mL of Heavy Whipping Cream. Then add 1/4th tsp Vanilla and 1/4 tsp EZ-Sweetz. Then top off the rest of the mixture with Vanilla Vodka until it reaches 250 mL (approximately 50 mL which is one shot). Now onto the whipping part! I was so excited the wife finally greenlighted this purchase 🙂 The unit comes with the parts above. 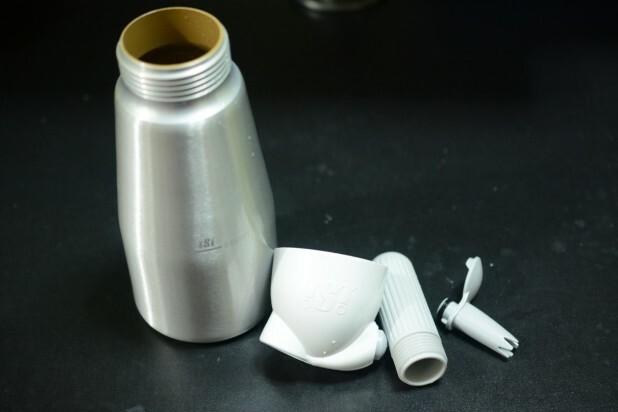 From left to right we have the pressurized canister that holds the cream, then the lid, the charger holder and the tip. Start by pouring the liquid into the unit and attaching the head. Make sure the gasket is place and that it is screwed in evenly and tight. This will get pressurized so you want to make sure it is correct. Now, place an N2O cartridge into the holder and screw it on. This will pressurize the canister. The screw part is just to make sure it connects evenly. 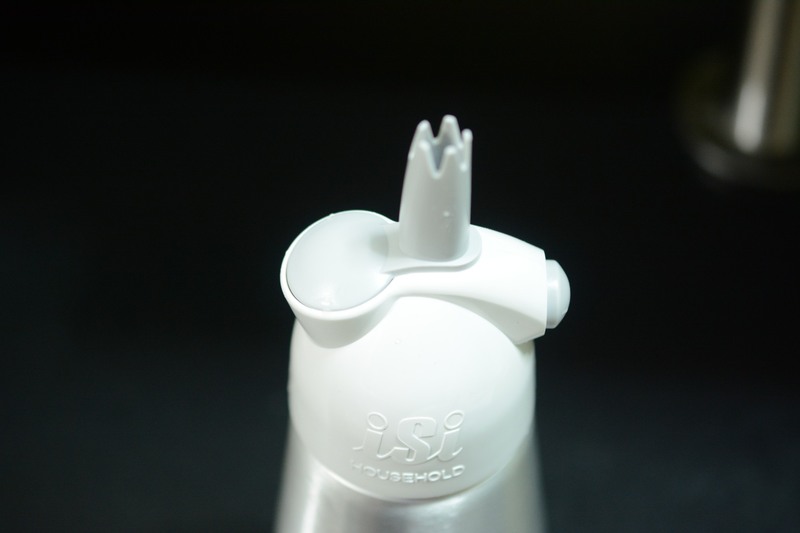 Once it is pressurized, you remove this part. 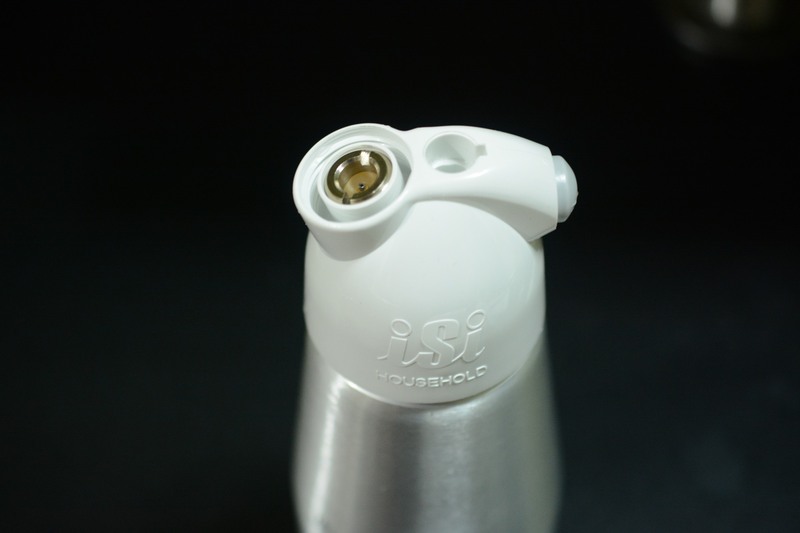 Now add on the nozzle. You’ll notice that this covers the pressurization port. Shake the unit 3-4 times. You don’t want to shake it too much or else the cream might seize. Ta-da! Here’s the cream on top of some coffee. Note: The sky is the limit on what you can make. 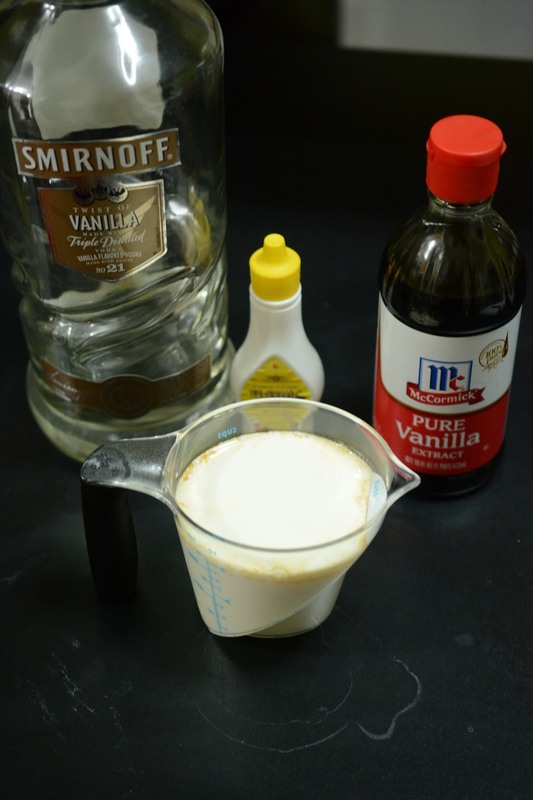 The Vodka is completely optional and if you omit it you’ll make regular cream. You can even experiment with adding various Torani Sugar Free Syrups to make different flavor creams! 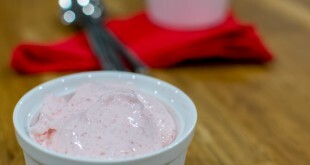 Even though this lists as zero carbs, there are some carbs in cream so beware if you consume large quantities of cream. This looks delish! 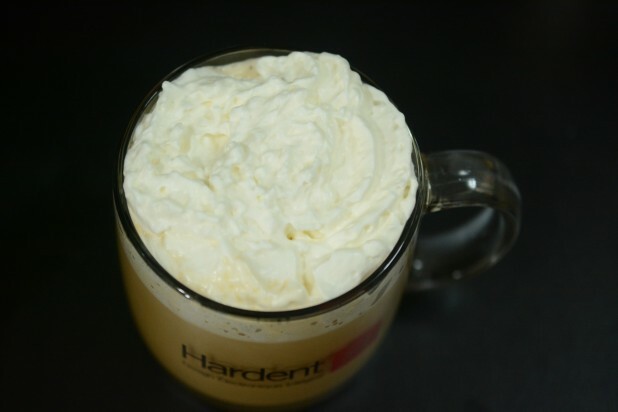 I always make my own whipped cream…so much easier, cheaper, and so easy to add in yummy stuff like cocoa! Any idea how long this would stay good for in the fridge? Thanks! I haven’t tested it yet, but they claim 10 days. I’m not sure whether the alcohol will reduce the amount of time the foam stays. Your wife had to greenlight the purchase?